Panic! at the Disco gained popularity by taking a different approach to pop music, incorporating electric instrumentals with lead singer Brendon Urie’s unique voice to form their musical style. In their newest album “Pray for the Wicked,” I had high hopes that they would explore new genres as they did with their 2016 album “Death of a Bachelor.” Unfortunately, the band has become more generic, catering to the current trend of high-pitched instrumentation. The songs on the new album fail to follow the same route as the band’s past work, instead offering lyrics that seem carelessly written. The album opens with “Silver Lining.” While catchy, the overuse of profanity and limited lyrics come off as repetitive and strained. The song moves away from the band’s typical electric sound, and has obviously been touched up with autotune and electronic beats. The lack of interesting lyrics continues with songs like “Dancing’s Not A Crime,” “One Of The Drunks” and “King Of The Clouds,’’ which carry one-line choruses and over the top electric drum patterns throughout the entirety of the piece. 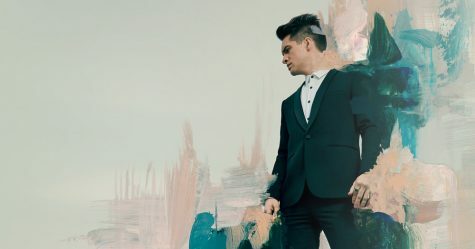 “Say Amen” sounded like it belonged in “Death of a Bachelor,” taking on more of a hard rock sound, but it contains too much intensity in its chorus, sounding as if Urie is screaming. The song is fierce, but its over-the-top chorus goes overboard. While both Urie’s musicianship and songwriting skills are on display in the album, most of the songs lack one or the other. “Dying in LA” shows off Urie’s remarkable vocals with spontaneous high notes, but it fails to deliver meaningful lyrics. “Hey Look Ma, I Made It” did the opposite, with quality lyrics but mediocre singing. However, neither strong lyrics nor vocals were present in “Old Fashioned,” which starts off like an opening to a trap song, featuring uninteresting beats and lyrics throughout. Although most of the songs left me disappointed, “Roaring 20’s” and “High Hopes” were exceptional. “Roaring 20’s” utilizes imagery in the lyrics and what sounds like resophonic guitar playing in the background. “High Hopes” brings an upbeat melody to the album that differs from sadder songs like “Dying In LA,” and focused on positivity rather than negativity. Instrumentally and lyrically, the new album lacks what made “Death of a Bachelor” successful. While the music was still enjoyable, fans of Panic! at the Disco will be disappointed by the autotuned sound similar to most mainstream artists today.